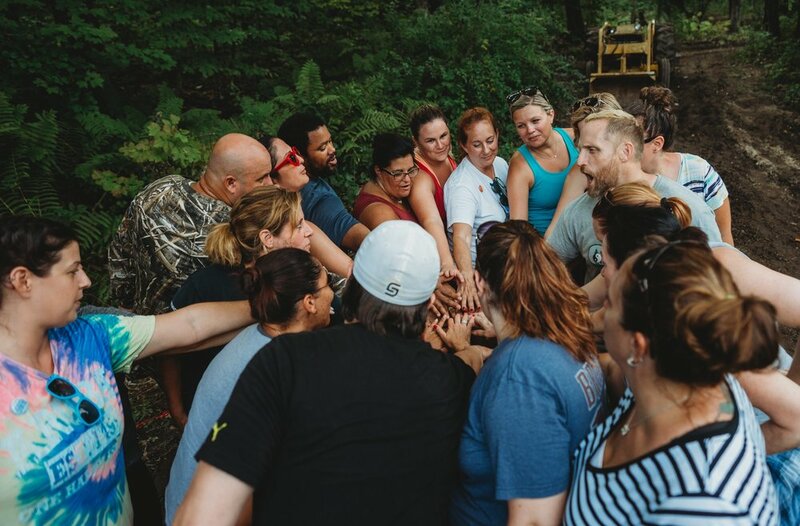 We offer comprehensive and uniquely designed, trainings based around our Big Five curriculum, to help with stress reduction, leadership, team building and overall morale boosting. Our emphasis is not on delivering your employees a fun break from their workday routines, rather, we deliver the tools that they can use in their daily lives, to eleviate stress, communicate and work together better in the office and in everyday life. We do not offer bandaid solutions, but a program that delivers results that last beyond our time spent together. We want your workforce to come away empowered, refreshed, passionate and prepared to handle whatever comes next. We offer customized programs in Self Defense and Awareness, Self Care, Stress Management, Leadership Training, Communication, Team Building, and more. Though we are based in beautiful Hopkinton, NH, and are happy to run trainings here, we can take our programming throughout New England and the greater Boston area. Please reach out to us today to start a conversation about how we can serve your workforce.